ETEM explores an energy transmission system covering approximately 235.0 km of a 230 kV line. ETEM started operating in December, 2011. This system aims to meet the expansion of the National Interlinked System (SIN) by diverting the surplus power generated in the state of Mato Grosso and to serve the metropolitan region of Cuiabá. The map below shows ETEM’s operating area. 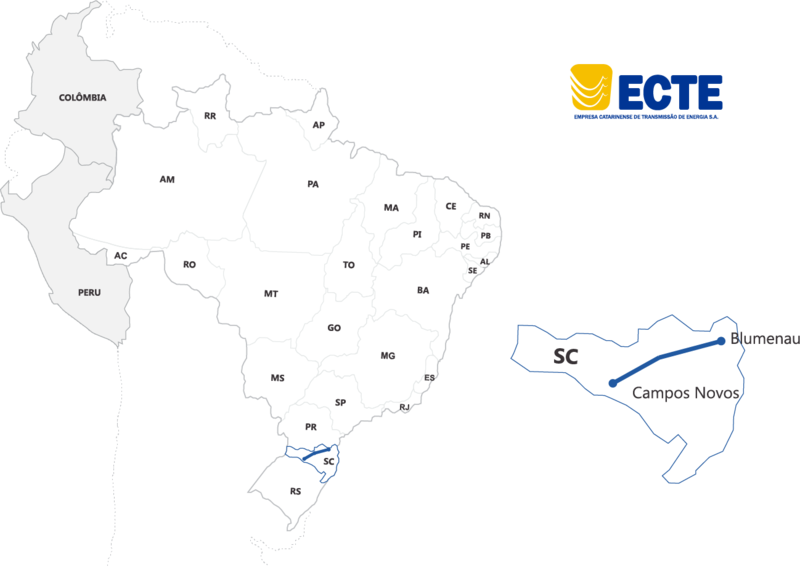 ECTE started operating in March, 2002, and currently integrates the power electric system in the State of Santa Catarina, covering approximately 252,5 km of 525 kV of tension in 2 substations. Such system is to assure the supply to the East region and the sea shore line of Santa Catarina, also to suport the demand growth of electric power in the South-Southwest region and to allow an increase of the operational confiability of the SIN. The map bellow illustrates the connecting area of ECTE. On December 16, 2011, Alupar, through its subsidiary ECTE, won lot D in ANEEL auction 006/2011 for the concession of energy transmission utility services of the Abdon Batista substation in 525/230 kV and the Gaspar substation in 230/138 kV. 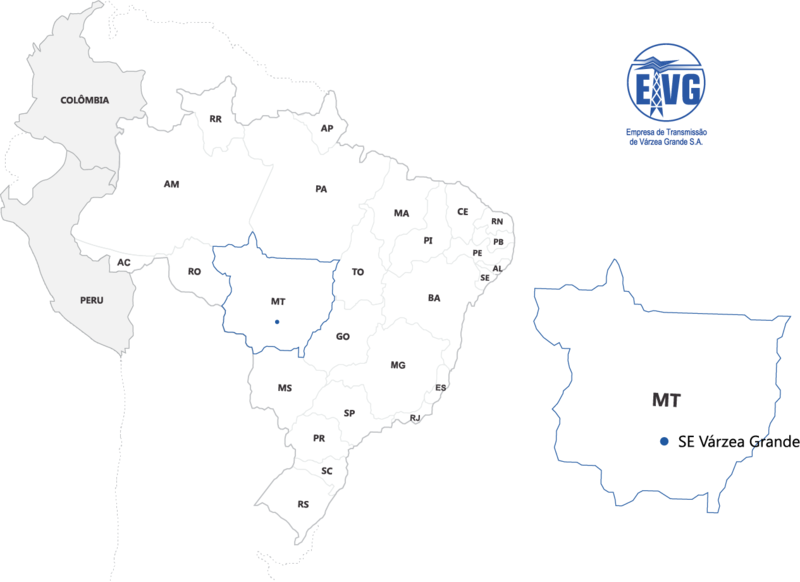 As a result, ETSE – Empresa de Transmissão Serrana S.A. was incorporated on December 28, 2011. 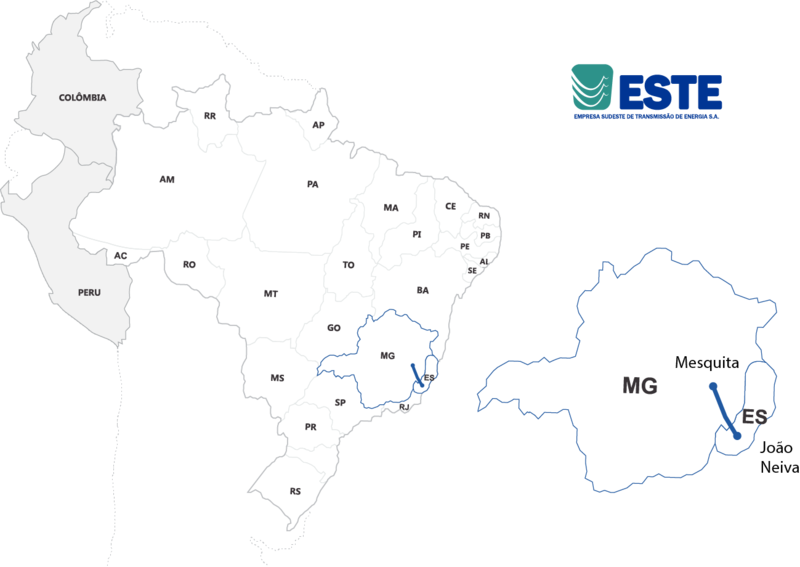 ETSE started its operations on December 2014 to serve the integration of the 175 MW Garibaldi hydroelectric power plant and the 214 MW São Roque hydroelectric power plant to the National Interconnected System and the planned integration of several small hydro power plants with requested access to CELESC’s distribution system. It also serves the expansion of energy supply to the Vale do Itajaí region. The map below shows ETSE’s operating area. 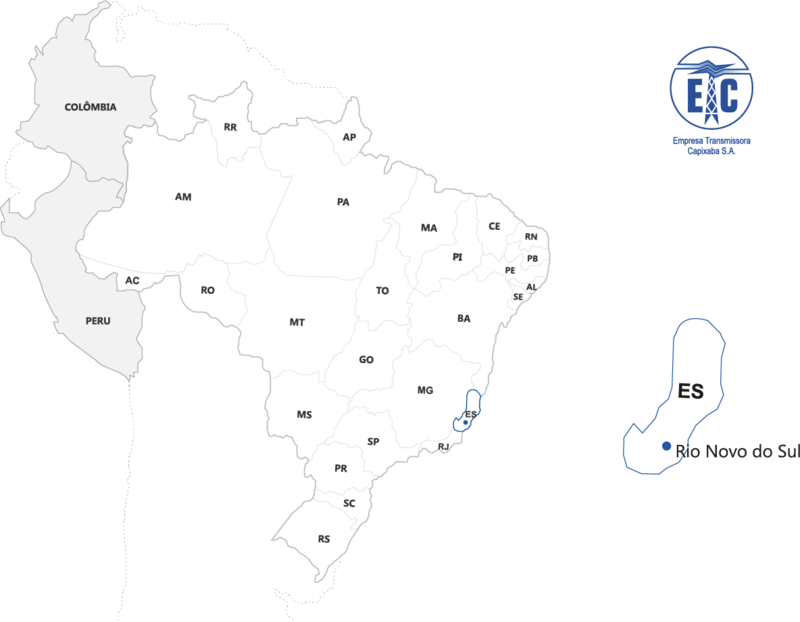 ETEP started operating in August, 2002, and currently integrates the power electric transmission system in the State of Pará, covering approximately 323.0 km of 500 kV transmission lines with 2 substations. The map bellow illustrates the connecting area of ETEP. ESDE operates in the exploration of the power transmission system in the state of Minas Gerais, with Santos Dumont substation in 345Kv. ESDE started operating in the first half of 2012. Its purpose is to meet the increased load in the southeast region of Minas Gerais and provide greater reliability to SIN‘s operations. The map below shows ESDE’s area of operation. 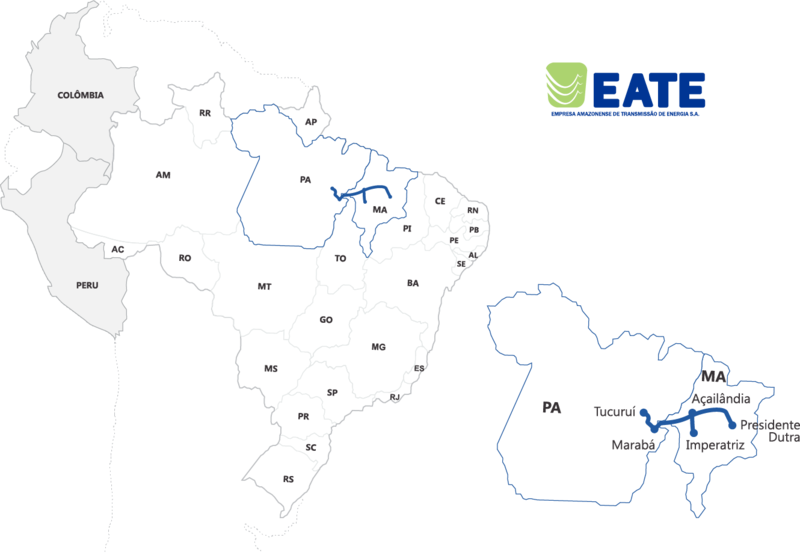 EATE started operating in March, 2003, and currently integrates the power electric transmission system in the States of Pará and Maranhão, covering approximately 924.0 km of 500 kV transmission lines with 5 substations, being SE Açailândia owned by the company. This system attends the growing demand for electrical power in the North and Northeast regions of Brazil, connecting the Tucuruí, Marabá, Açailândia, Imperatriz and Presidente Dutra substations, becoming the third connection circuit North-Northeast and reinforcing the connection between the electrical systems South-Southeast, Center-West and North-Northeast, granting higher operational confiability of the SIN. The map bellow illustrates the connecting area of EATE. 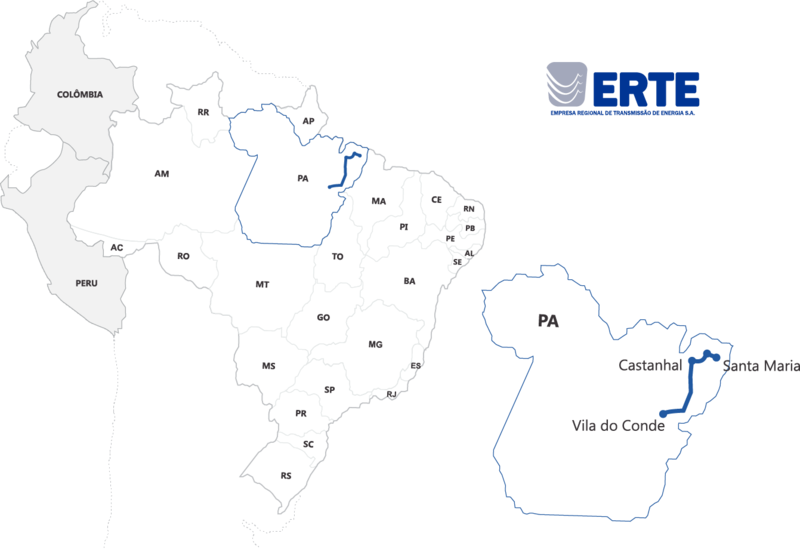 ERTE started operating in September, 2004, and currently integrates the power electric transmission system in the State of Pará, covering approximately 179.0 km on transmission lines of 230kV with 2 substations. 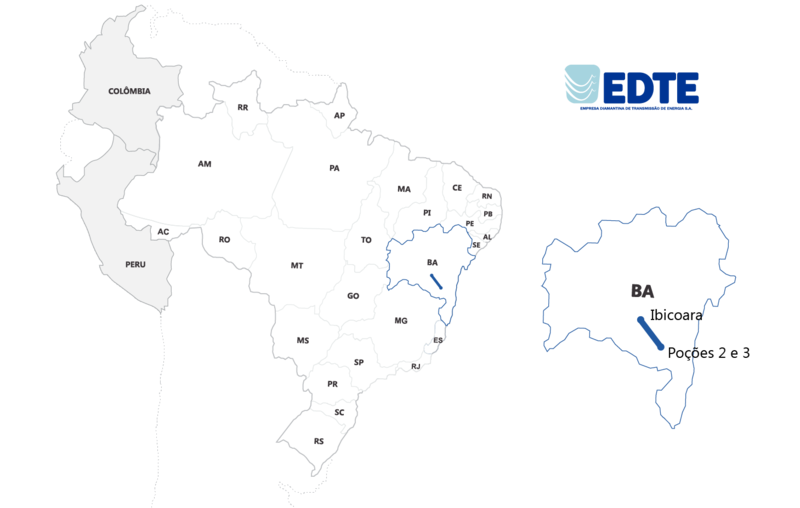 This system attends the growing demand of electrical power in the surrounding region of Belém and Northeast of the State of Pará and grant higher operational confiability in the region. The map bellow illustrates the connecting area of ERTE. 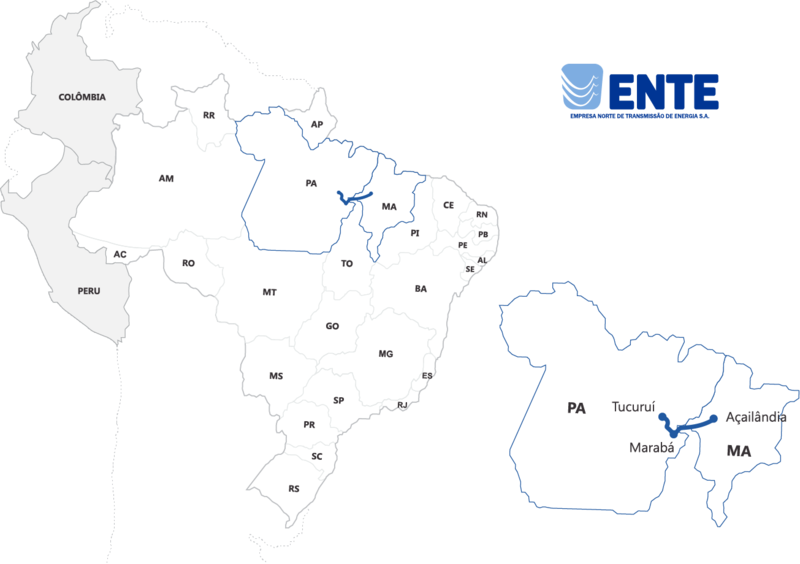 ENTE started operating in February, 2005, and currently integrates the power electric transmission system in the States of Pará and Maranhão, covering approximately 464.0 km of 500kV transmission lines with 3 substations within the system. 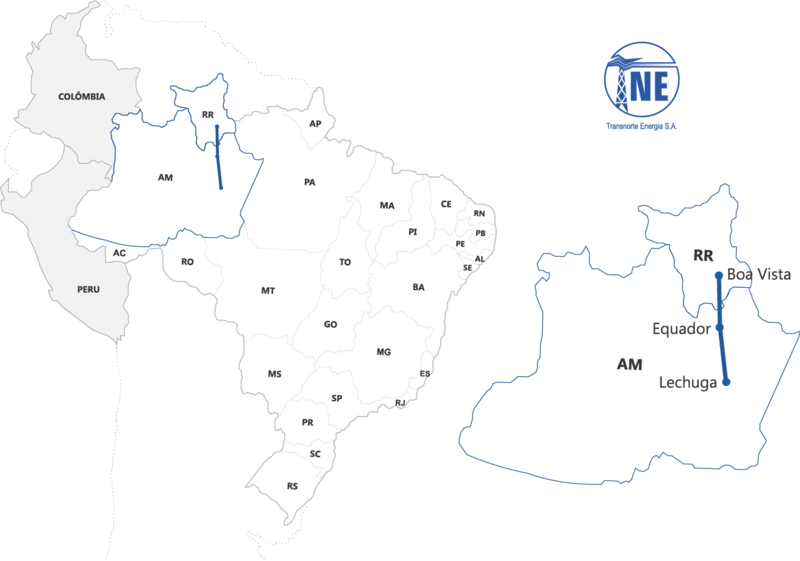 The system supports the growing demand of electrical power in the North and Northeast regions of the Country, connect the substations of Tucuruí, Marabá and Açailândia, becoming the fourth interconnection circuit North-Northeast, and making it possible to add the power electric expansion of UHE Tucuruí and the connection among the electrical systems South-Southeast, Center-West and North-Northeast. The map bellow illustrates the connecting area of ENTE. 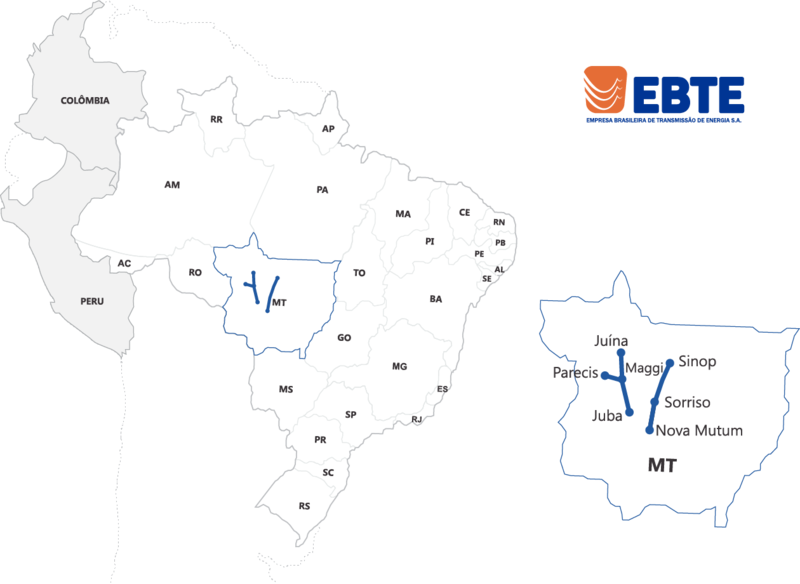 EBTE started operating in June, 2011, and currently integrates the power electric transmission system in the State of Mato Grosso, covering approximately 775.0 km of 230kV transmission lines with 5 substations within the system. This system strengthens the drainage of electric power of several generation’s projects that will be introduced in the region of the state of Mato Grosso, contributing with the development of the state and for the increase of the national capacity of electric power generation. The map bellow illustrates the actuation area of EBTE. STN started operating in January 2006, and currently integrates the power electric transmission system in the States of Piauí and Ceará, covering approximately 541.0 km of 500 kV transmission lines with 3 substations within the system. 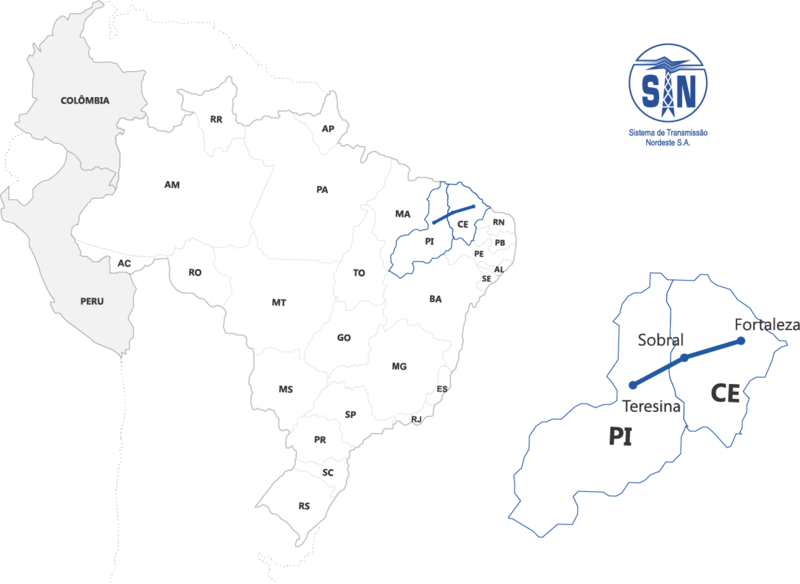 This system is to attend the growing demand of electrical power in the North and Northeast regions of the Country, connecting the substations Teresina, Sobral and Fortaleza, becoming the second circuit and assuring higher operational confiabillity of the SIN, and improving the conditions of electric power supply in the States of Piauí and Ceará. The map bellow illustrates the actuation area of STN. Transleste started operating in December 2005, and currently integrates the power electric transmission system in the State of Minas Gerais, covering approximately 150.0 km of 345 kV transmission lines with 2 substations, being SE Irapé owned by the company. The system supports the hydroelectric power plant of Irapé, placed in Minas Gerais, and other future ones to the basic SIN network and transport 584.0 additional megawatts for the Northeast region and for the State of Minas Gerais. The map bellow illustrates the actuation area of Transleste. Transirapé started operating in May 2007, and integrates the power electric transmission system in the State of Minas Gerais, covering approximately 65.0 km of 230 kV transmission lines with 2 substations, being SE Araçuaí owned by the company. The system supports the regional demand of electrical power and improve the operational conditions of the transmission systems of the upgraded region, in the interconnection of the local system with Irapé-Aracuai line 2. The map bellow illustrates the actuation area of Transirapé. Transudeste started operating in February 2007, and integrates the power electric transmission system in the State of Minas Gerais, covering approximately 140.0 km of 345 kV transmission lines with 2 substations. The purpose of this system is to attend the demand of the regional electrical power and to improve the operational conditions of the transmission system in the upgraded region, in the Southeast of Minas Gerais. The map bellow illustrates the actuation area of Transudeste. STC initiated commercial operation in November 2007, and currently integrates the electric power transmission system in the States of Santa Catarina, covering approximately 195.0 km of 230 kV transmission lines with 3 substations, being two of them, the SE of Lages and SE Rio do Sul, owned by the company. 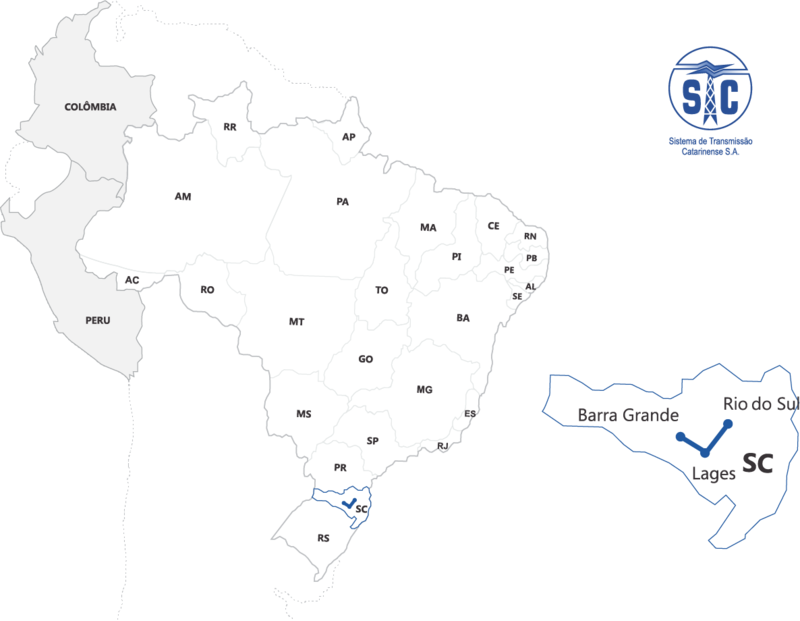 This system interconnects the substations of Lages and Rio do Sul, connecting them to the substation of Barra Grande (Anita Garibaldi), the system also strengthens the supply of electric power in the region and grants confiability to SIN’s operations. The map bellow illustrates the actuation area of STC. 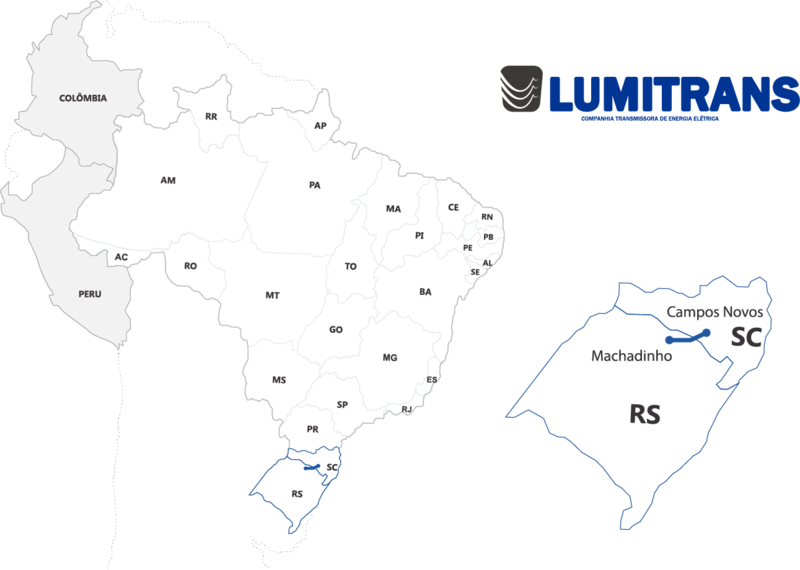 Lumitrans started operations in October, 2007, and currently integrates the power electric transmission system in the State of Rio Grande do Sul and Santa Catarina, covering approximately 51.0 km of 525 kV transmission lines with 2 substations. This system strengthens the electric power supply in the South region, connecting the substations of Machadinho and Campos Novos and offers higher confiability to SIN’s operations. The map bellow illustrates the actuation area of Lumitrans. 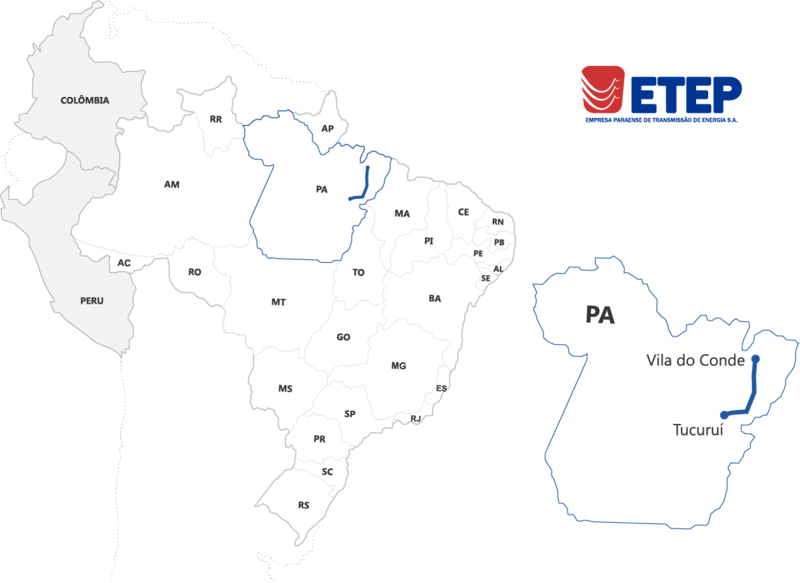 ETES constructs and explores the power electric transmission system in the State of Espírito Santo, covering approximately 107.0 km of 230 kV transmission lines with 2 substations, being SE Verona owned by the company. ETES started operating in December, 2008. This system will stregthen the electric power supply in the northwest region of the State of Espírito Santo, as well as connecting the substation of Mascarenhas and Verona and offers higher confiability to SIN’s operations. The map bellow illustrates the actuation area of ETES. TME operates in the exploration of the electric power transmission system in the state of Mato Grosso, covering approximately 348.0 km in 500 Kv transmission lines with 2 substations. TME started operating in November, 2011. Its purpose is to meet the expansion of the electric power transmission system in the states of Acre and Rondônia. The map below shows TME’s area of operation. ETVG participated in the construction and operation of the Mato Grosso State electricity transmission system, including the 230 KW Várzea Grande substation. ETVG started its operations in the second half of 2012. The objective of this system is to meet the growing electricity load in the Mato Grosso region and to increase the reliability of the National Interconnected System (SIN). The map below illustrates ETVG’s operating area. 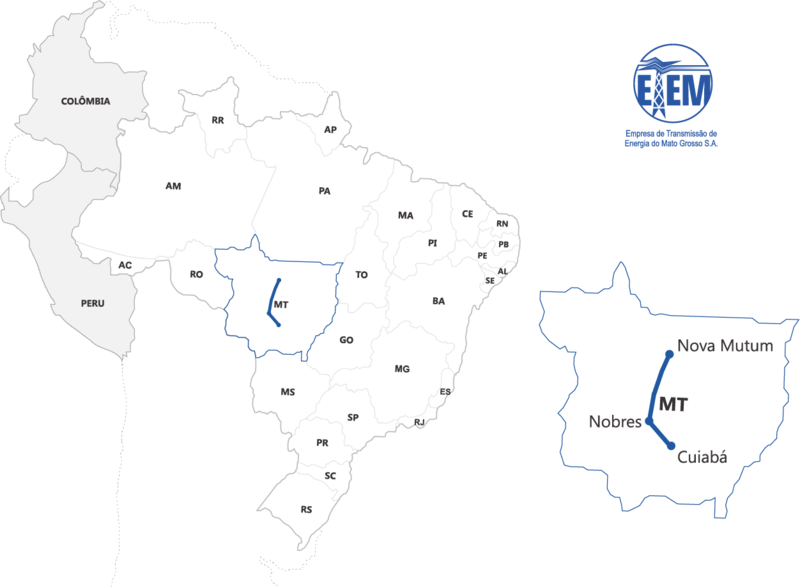 TNE will connect Boa Vista to the National Interconnected System (SIN), linking the state of Roraima in the SIN at Lechuga substation, in the state of Amazonas, covering approximately 715.0 km in 500 kV transmission line, double circuit, with 3 substations, being SE Equador owned by the company. This company was formed after the Boa Vista consortium, composed by Alupar (51%) and Eletronorte (49%), win the auction 004/2011 held by ANEEL. TNE has as main objectives the reduction of thermal generation in the state of Roraima, the possibility of disposing 700 MW from hydroelectric plants in the state of Roraima to the SIN and the energy trading with Venezuela. ELTE is composed of two substations, Domenico Rangoni and Manoel da Nobrega, plus 40 km of transmission line. The development will be connected to the National Interconnected System (SIN) and will strengthen networks of distributors, in addition to meeting the increasing electricity demand of the Santos region, composed of nine counties region. The implementation period is 36 months from the signing of the concession agreement. An electricity transmission company operating through the 230 kV Transmission Line João Câmara II – João Câmara III, double circuit , with the extention of 10 km per circuit and a 500 kV Substation João Câmara III. Located between the cities of Parazinho and João Câmara, in the State of Rio Grande do Norte. The project will be connected to the National Interconnected System and will reinforce the transmission network of the Eastern area of the Northeast region of Brazil, in order to drain the wind potential in the region. The implementation period is 42 months, counting from September 2016, the date of sign of the Concession Agreement. ETAP entered into commercial operation in April 2019, approximately 9 months before the deadline set by Aneel. An electricity transmission company operating through the Substation Rio Novo do Sul – 345/138 kV. Located in Rio Novo do Sul, in the State of Espirito Santo. 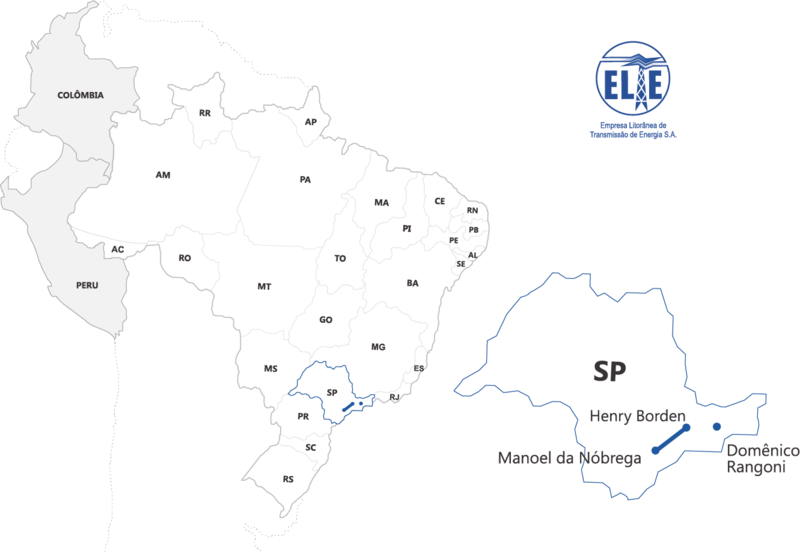 The project will be connected to the National Interconnected System and it will support southern’s Espirito Santo State region, in order to ensure the compliance of the Basic Network and the Border Network Basic by the year 2022. The implementation period is 36 months, counted from September 2016, the date of sign of the Concession Agreement. On October 28, Alupar won in the Aneel Transmission Auction 13/2015 Stage 2 the Lot 2. 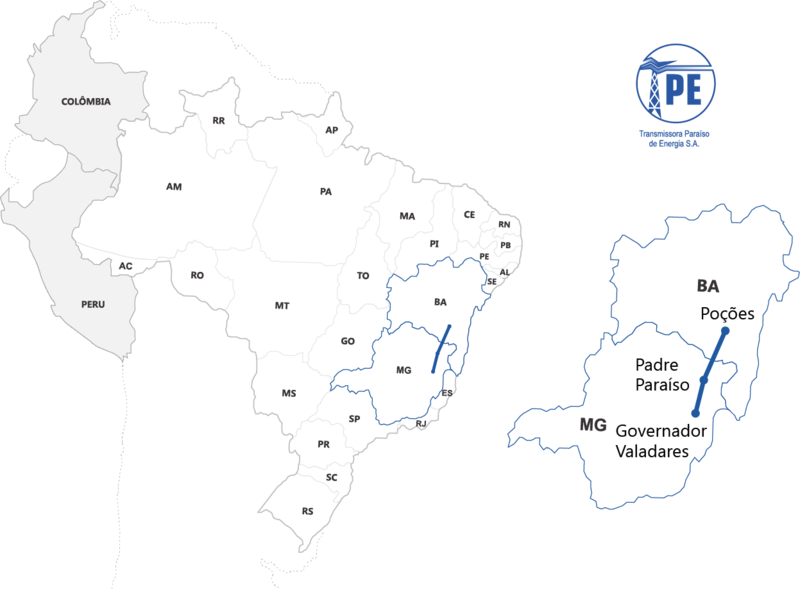 TPE is a concession of public service electricity transmission through the 500 kV Poções III – Padre Paraíso II Transmission Line, 334 km in length and the 500 kV Padre Paraíso 2 – Governador Valadares 6 Circuit 1 Transmission Line, 207 km in length and; the 500 kV Padre Paraíso 2 Substation and the 500/230 kV Governador Valadares 6 Substation. The project is aimed at Expansion of the Northeast – Southeast Interconnection aiming at the adequate disposal of current and future generation projects planned to be implemented in the Northeast region. 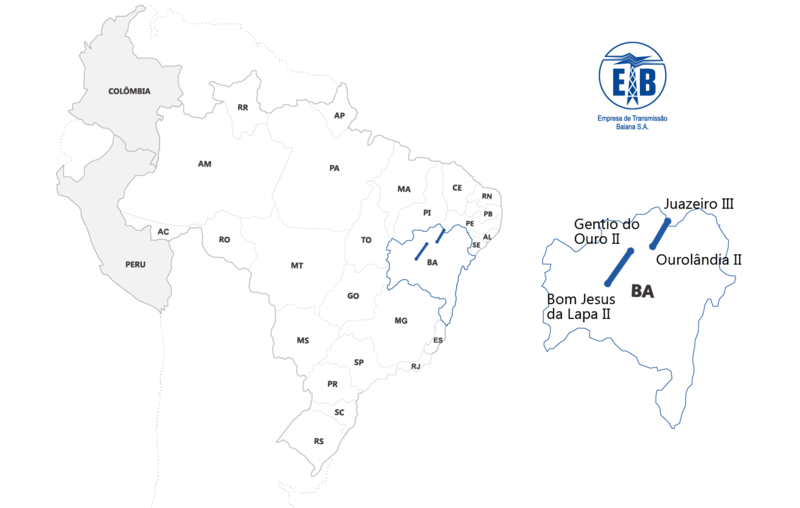 Located between the cities of Poções and Governador Valadares, in the states of Bahia and Minas Gerais, with implementation deadline by February 9, 2022. On October 28, Alupar won in the Aneel Transmission Auction 13/2015 Stage 2 the Lot 6. 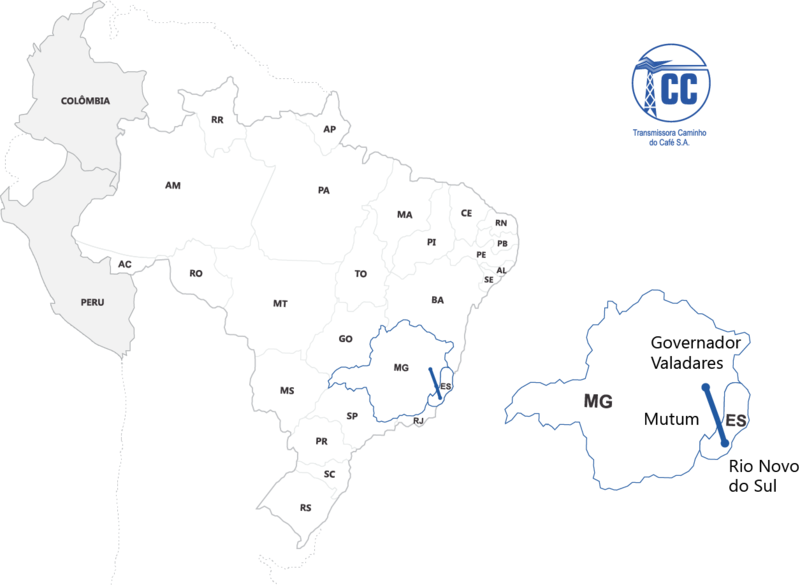 TCC is a concession of public service electricity transmission over the 500 kV Governador Valadares 6 – Mutum, Circuit 1 Transmission Line, 156 km in length, the 500 kV Mutum – Rio Novo do Sul, Transmission Line, 132 km in length and; the 500 kV Mutum Substation and the 500/345 kV Rio Novo do Sul Substation. The project is aimed at Expansion of the Northeast – Southeast Interconnection aiming at the adequate disposal of current and future generation projects planned to be implemented in the Northeast region. Located between the cities of Governador Valadares and Rio Novo do Sul, in the states of Minas Gerais and Espirito Santo, with implementation period by February 9, 2022. On October 28, Alupar won, through its subsidiary EATE, in the Aneel Transmission Auction 13/2015 Stage 2 the Lot 22. ESTE is a concession of public service electricity transmission through the 500 kV Mesquita – João Neiva 2 Transmission Line, 236 km in length and the João Neiva 2 substation, 500/345 kV. The project is aimed to serve the Central and Northern regions of Espirito Santo State. Located between the municipalities of Santana do Paraiso and João Neiva, in the state of Espirito Santo, with implementation period by February 9, 2022. On November 22, 2016, Alupar won the bidding process UPME 07-2016 (TCE) through its controlled company Alupar Colombia. 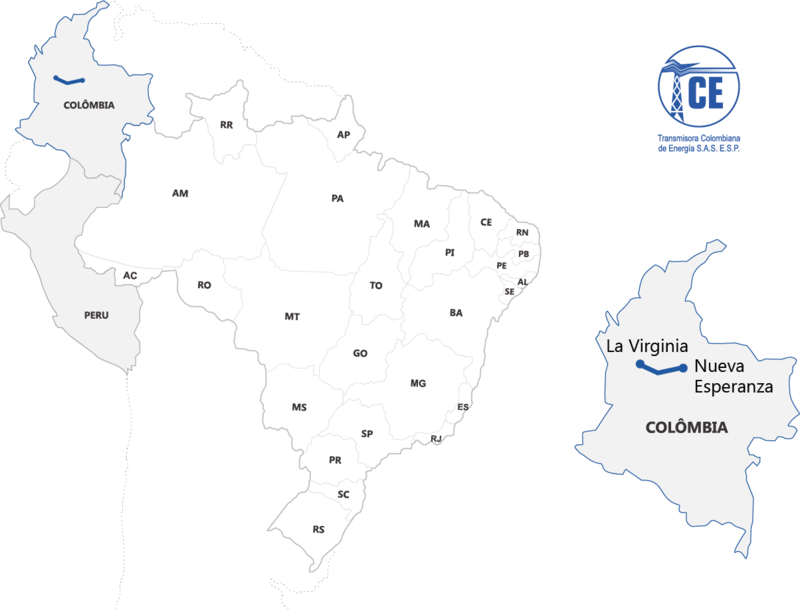 The Transmisora Colombiana de Energia S.A.S (TCE) are composed by one Transmission Line of 500kV connecting the Substation Nueva Esperanza (near Bogotá) and the Substation La Virginia (near Pereira), with an approximate length of 200 km. TSM is a concession of public service electricity transmission of 500 kV Fernão Dias – Terminal Rio, 330 km in length. The project aims to meet the necessary reinforcements in the Southeast region, which will enable the receipt of surplus energy from the North region. 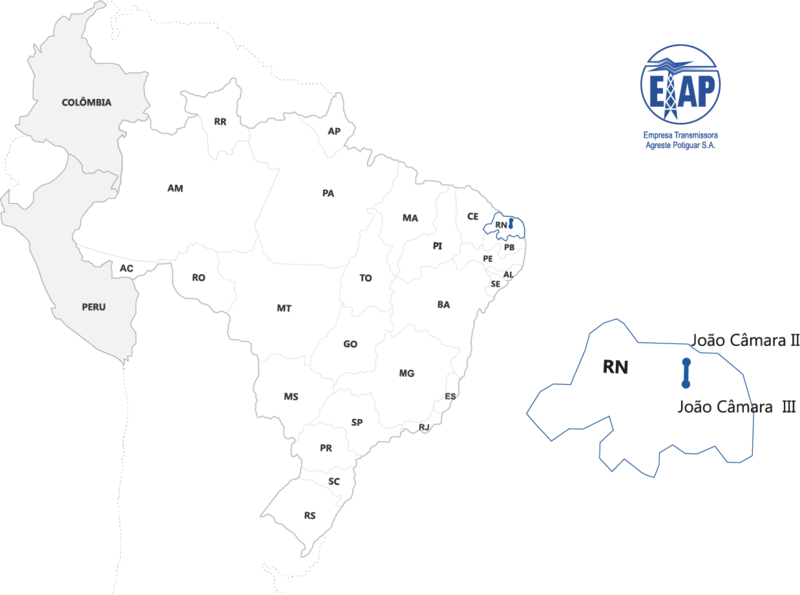 Located between the states of São Paulo and Rio de Janeiro, with implementation period by August 11, 2022. 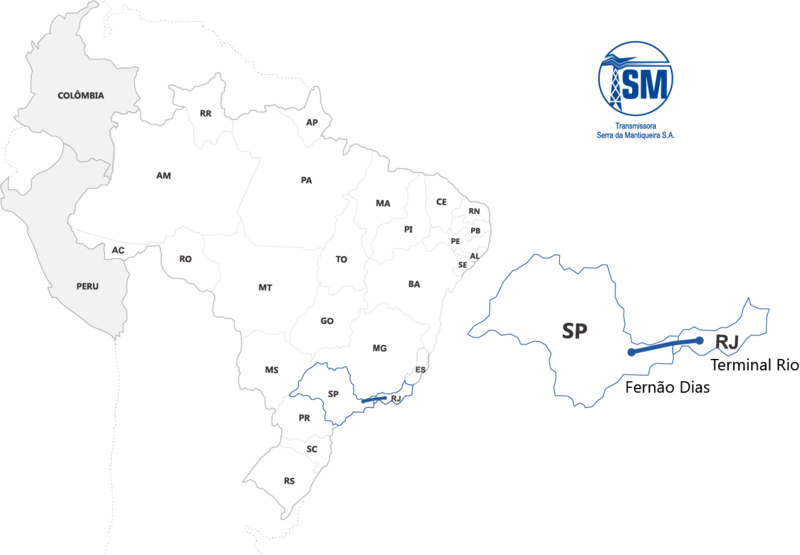 Is an SPC established for the concession of public electricity transmission service to implement and develop the Juazeiro III – Ourolândia II transmission line, in 500 kV, approximately 186 km in length and the Bom Jesus da Lapa II – Gentio do Ouro II transmission line, in 500 kV, approximately 260 km in lenght. ETB will increase the transmission capacity of the Northeast – Southeast interconnection to ensure the proper supply of current and future generation projects to be implemented in the Northeast region through June 27, 2020. It is an SPC composed of the concession of the public power transmission service for the implementation and operation of the 500 kV Ibicoara – Poções III Transmission Line, of the 230 kV Poções III – Poções II Transmission Line and the 500/230 kV Substation Poções III, having a total length of approximately 170km. The benefits that EDTE will bring to the system is the expansion of the transmission system of the southern region of the state of Bahia, aiming at the adequate electric service to the consumers of this region. The implementation deadline is until December 2019. Alupar controls the Special Purpose Company (SPC) Usina Paulista Queluz de Energia S.A. that holds the operations authorization for SHPP Queluz, in the municipal district of Queluz, in the Brazilian State of São Paulo, with installed capacity of 30.0 MW. The authorization for the operations of PCH Queluz, is valid for 30 years, from April 7, 2004. Its energy was sold to an independent consumer and the amount of energy contracted is 21.0 MW. The plant began operations in August, 2011. Alupar controls the Special Purpose Company (SPC) Usina Paulista Lavrinhas Energia S.A. that holds the operations authorization for SHPP Lavrinhas, placed in the Municipal District of Lavrinhas (SP), with installed capacity of 30.0 MW. The authorization for the operations of PCH Lavrinhas, is valid for 30 years, from April 7, 2004. Its energy was sold to an independent consumer and the amount of energy contracted is 21.0 MW. The plant began operations in September, 2011. 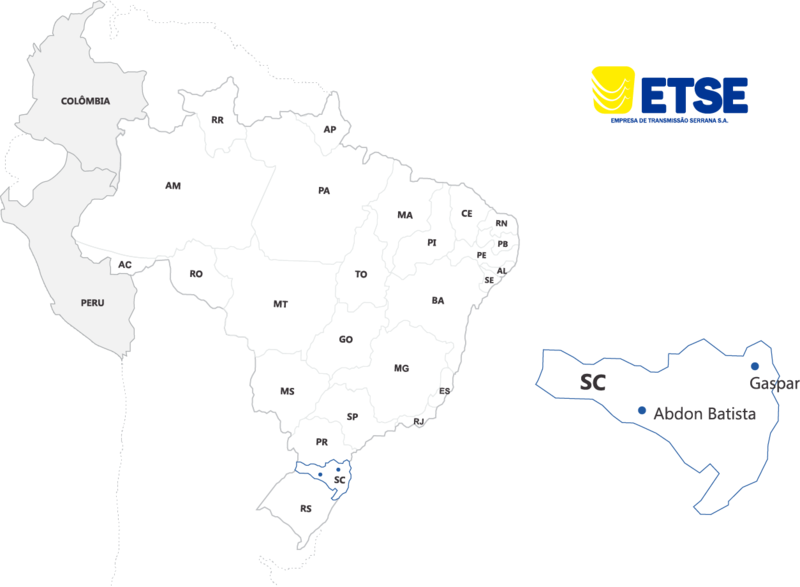 Alupar controls Risaralda Energia SAS/ESP, that holds the operations authorization for SHPP Morro Azul, placed in the state Risaralda, in Colombia, with installed capacity of 19.9 MW. The construction of SHPP Morro Azul began in 2014, and its full operation was on September 10, 2016. Its energy was negociated with independent consumers and its assured energy is 13.2MW. Its stockholders are Alupar Investimento S.A. and ICCEG SA/ESP. Alupar holds an 85% interest in PCH Verde 08, which has a license to explore the hydro power plant located on the Verde River, in the city of Santa Helena de Goiás, state of Goiás, with an installed capacity of 30.0 MW and assured energy of 18.7MW. Alupar holds 90% of the capital of the Antonio Dias SHPP, which has a license to explore the hydro power plant located at Piracicaba River, in the city of Antônio Dias, state of Minas Gerais, with installed capacity of 23.0 MW and assured energy of 11.4MW. The Company is the controlling shareholder of Energia dos Ventos S.A. (99.99%), which holds a license for the operation of 5 wind farms, with a installed capacity of 98.7 MW, in the municipality of Aracati, in Ceará. The complex was concluded in 2016.